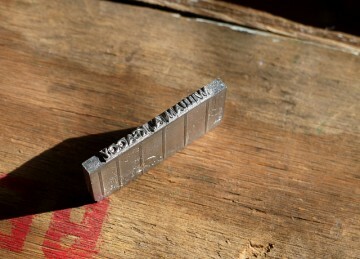 So who else has their name in Linotype? I got this on a school visit to a small print shop near Youngstown, Ohio, probably around 1990. Very excited for “Linotype: The Film” which I backed at Kickstarter.